6 one-hour on range lessons initially covering basics of set up, swing, short-game, and putting. Subsequent advanced series move onto positional fine points, cause and effect relationships, feel acquisition, and video analysis. Everyone from the absolute beginner to the experienced player will benefit from the step-by-step approach to building better fundamental positions in their swings. 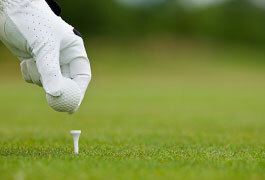 I have taught over 50,000 advanced and beginners golf lessons throughout my career. Mike has been my teacher, coach, and mentor for over 30 years. As a teacher, he has taught me the fundamentals of the golf swing, as the coach, I’ve learned how to make the swing work. His role as the mentor involves the final piece of the golf puzzle, walking to the 1st tee knowing what shot your are going to hit and then doing it, the mental side of the game. I was a 12-14 handicap that wanted to break 80 on the first lesson with Mike in 1983. One year later my handicap was down to 5 and played in the San Diego City Championship at Torrey Pines. I made the San Diego Union the next day after shooting 74 on the south course. I broke 80 the next two rounds finishing up on the south course with a low 80 score. This was good enough to be in the top 20. When you think about how many really good players there are in San Diego that is something to be proud about. Over the years I continued to play competitive events with a few highlights; Washington State Elks Amateur Champion, Costa Mesa City Champion, Irvine City Champion, and winner of numerous club events. The events of life, work and family obligations took a toll on my game in the 90’s thru the new century and as I got the bug to get back into playing the things I was able to do were gone! I was a 63 year old guy in great physical shape that couldn’t break 80. Fast forward 15 months and I’m now a guy that can break 80. My index is now in the single digit and I’m playing again with a purpose. I’m now eligible to compete in the Super Senior events and be a legitimate competitor. This is possible because I made the decision to start working with Mike Wydra again. He has taught me to do a few things I didn’t even do back in the young days. We have had 18 sessions together in the last year and a half and I always leave with something new that seems to fit perfect with everything else from prior lessons. You will become a better player and enjoy the game that much more if you make the decision to work with Mike. When I met Mike I was rarely breaking 90 and injuring my back with a reverse C swing. Now that I've learned how to grip the club properly and get my hand through the ball, I no longer scoop or cast the club. I now swing with ease, adding15 yards to every iron and 40 yards to my driver. The reverse C is gone along with any back or hip pain. My inconsistencies are more manageable and I have finally broken the 80 barrier at both Torrey Pines north and south. Mike's approach on putting is very simple to learn and will show up on your scorecard the very next round. With his help, putting has become my favorite part of the game. Since becoming a single digit handicap, most of my usual playing partners are now also students of Mikes. I can't believe I went on for so many years trying to teach myself the game off YouTube videos and advice from friends. For the first time I have a coach who I can trust really wants to see me lower my score and golf pain free. I had the privilege of playing more than 150 rounds of golf and spending three times as many hours on the range with Mike during my six year stint in San Diego. Every round was a valuable learning experience in course management and shot selection, as well as lots of fun! My time with Mike produced some of the best rounds of my life, including a 10-birdie 67 in the first round of the Northern California Valley Amateur Championship, leading the way to the eventual win. I was also able to take full advantage of his competitive playing experience when he all but carried my bag in the NCAA Super Regional Championship in Albuquerque, NM where I finished -4 and t5 for the tournament, qualifying me for the NCAA Division II National Championship. Golf instructors who possess Mike’s combination of teaching ability and experience are extremely rare. His knowledge of the golf game and all of its components is unparalleled. In addition, Mike possesses the unique ability to cater to his students, whether they be young, old, beginning, or with professional aspirations. He understands every swing is unique and that everyone learns in a different way at their own pace. This understanding may be the most valuable trait in a golf instructor because it allows him to present his instruction several different ways to ensure it is understood. Many instructors can tell you what you are doing wrong, very few can show you the proper way to fix it, and even fewer possess the knowledge to do it multiple ways, as Mike does. I have been working on my game with Mike going on for about eight years now, and I enthusiastically recommend his services. Whereas I think some golf coaches (as well as newsstand golf magazines) are about "quick-fixes," Mike's approach is 100% about the fundamentals of the swing and the proper mental approach to the game and practice. Mike has a very solid understanding and scientific approach to the mechanics of a golf swing, backed up by his own historical research as well as analysis of touring pros today. In addition to just mechanics, Mike will also work extensively with you to correct myths and misconceptions about playing the game well, all explained patiently through analogies, demonstrations, and drills - Mike is especially good at helping you to get over the "fear" of trying something new in the service of building in good habits. While not inexpensive, I do recommend Mike's Playing Lesson service - you get 4+ hours of personal attention where it matters most: on the course. While I wish I could claim that Mike has turned me into a scratch golfer (alas), I can report that I practice and play now more than I ever have, because of increased confidence as well as marked improvement in shot-making and scoring. Mike's unequivocal passion for the game, combined with your own improvement that you'll notice immediately, will have you enjoying the game more than ever as well. When I first met Mike in the Fall of 2009 at the UCSD golf team tryouts, I was immediately amazed by his impressively vast knowledge of the game of golf. Mike's 30+ years of golfing experience encompasses the entire golfing spectrum: he has been a top junior golfer, a touring professional golfer, a top collegiate golfer, a Hall-of-Fame inducted NCAA golf coach, and is presently a legendary private golf professional, who is without a doubt one of the best in Southern California. Mike's mastery of all of the aspects of golf is just one part of what makes him such a great teacher; unlike most golf teachers, Mike also possesses the rare ability to convey even the most complicated, technical aspects of the golf swing to his students in ways that are easy to replicate and to understand. Now, if you think Mike's mastery of the golf swing is impressive, just wait until you get to the short game! Mike has been commended countless times by golf professionals and amateurs alike for his short game prowess, and has even earned the unofficial title of "Best Bunker Player in San Diego County" multiple times. No matter what you are struggling with in your short game, Mike will be able to help you improve in no time. If you are looking for a golf professional who has years of teaching experience, has played on "The Big Stage," has taught players of all ages and abilities, is able to convey information and tips in ways that you can actually understand, and is a kind, respectful, humble person both on and off the course, then Mike Wydra should be at the top of your list. Mike has helped make me a better golfer and a better person, and I feel very lucky to have had him as my golf coach. I was recruited by Mike to play college golf at UCSD--- I have been golfing for my entire life and have not met anyone who lives and breathes the game quite like him. I have just currently graduated from UCSD and am attending Q school in 2015 to attain Web.com status. During my time at UCSD Mike helped me on numerous occasions with my swing. His knowledge of the golf swing is impeccable and he always managed to help me understand what I was doing wrong and how to correct it. He is able to successfully balance the use of technology while never ignoring the importance of the feel aspect of playing. There were multiple times where I was struggling with my mechanics during college tournaments and Mike gave me simple swing fixes that helped me to save my round. And, when rounds didn’t go the way that I would have liked, he always knew exactly what to say to lift my spirits. Mike has helped me work on all aspects of my game including mental, physical, technical and personal and has put me in contact with appropriate resources to help me continuously improve. These have helped me grow as a person and as a golfer. Mike is more than a hall-of-fame coach – he is a mentor, a supporter and a friend. I give him my highest recommendation to anyone who wishes to bring their game to the next level. I went back to Mike a few years ago as a decent golfer who occasionally broke 80 from the blue tees, looking to make a few tweaks to my game to get more consistent. However with Mike’s encouragement, persistence, and tenacity I have changed my overall approach to golf, and now play competitively as a scratch golfer. Actually I have worked with Mike on my golf game at three very distinct periods in my life (8-10 years old, 14-17 years old, and most recently now into my mid-30’s). His approach at each stage catered to both my physical as well as mental capacity to process, but the fundamentals he instills have remained unchanged. With Mike, it all starts with core and basic principles to the golf swing, no matter what age or level of golfer you are. In my first series of 6 lessons, we covered Ben Hogan’s philosophy for the modern golfer. This was both challenging and rewarding as I found that I needed to take a few steps back in order to improve and move forward. However, when we started getting into regular playing lessons and customized range lessons is when my game, and ultimately my enjoyment of the game improved incrementally. Mike doesn’t let you get away with any complacency and will constantly work with you to improve. Mike has worked with me on all aspects of golf, from choosing the right set of clubs, to the right practice routines and drills, to shot selection and course management, to tournament preparation, rules and etiquette. But one thing that I have taken from working with Mike is that in order to improve with golf, you need to be willing to go through the process, there is no overnight fix, or quick tweak that is going to all of a sudden improve your game by 5-10 strokes. It’s an evolution. And this is really what golf is ultimately about, challenging yourself to improve as no golfer is a completely finished product. And Mike is the perfect instructor to help anyone at any level through this process. I was very fortunate to meet and develop a friendship with Mike back in the early 80's. He taught me everything I needed to know about building a solid foundation for putting. Although I have refined things over the years, the things that Mike taught me have served to make me one of the best putters in my club! Having access to Mikes' understanding of every aspect of the game of golf will no doubt help players of any level improve and reach their full potential! As a former college coach, I have been around a lot of teaching professionals, and no one communicates the golf swing more effectively.Whether you are a beginner or a tour pro, Mike Wydra can and will help you become a better player! In 2013-2014 I was placed in contact with Coach Wydra by another coach in our conference who had a pre-existing relationship with him. I was told that "nobody knows golf, or golf in Southern California better than Mike Wydra." As a new college golf coach I felt that a spring break trip was critically important to the growth and development of our program. My goal on this trip was to take our team to a place where we could fit in the greatest amount of golf and teaching while providing our players with a memorable experience. After making contact with Coach Wydra, and with his help in planning the trip, I was confident that our trip would meet those expectations. After returning back to the East coast I can tell you that with the help of Coach Wydra, those expectations were not only met, they far exceeded what I had hoped for. Coach Wydra helped in every way imaginable from helping to set up rounds at outstanding golf courses, providing lessons to my team both individually and collectively, and even playing 18 hole rounds with members of my team. I can honestly say that in the short period of time that Coach Wydra spent with my team that that each member of the team improved and I even became a better coach. He has an incredible knowledge and understanding of the game of golf along with a gentlemanly demeanor and ability to teach it. I would highly recommend contacting him if you plan on taking a spring break trip to Southern California or are in need of expert assistance in any endeavor related to golf, golf instruction, and knowledge of golf in Southern California. My team will be returning to Southern California this year and Coach Wydra is one of the primary reasons why! I’ve worked with several golf instructors over the years and always seem to return to Mike Wydra. I was referred to Mike by a friend who’s game improved in a short period of time under Mike’s instruction. It gets your attention when you see a guy go up two clubs in distance in a fairly short period of time! Mike helps his students demystify the complexities of the golf swing. Not only is Mike a competent golf coach, but an excellent player too, which is a rare combination. I’ve had the pleasure of accompanying Mike and his golf teams from UCSD for rounds of golf all over Southern California. He had the complete respect of his players and could readily beat them all on the links. In addition to Mike’s fine play, he is an astute student of the game and possesses a thorough understanding the components that comprise proper technique. 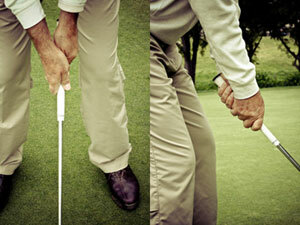 A lesson with Mike is not just a range session with a few tips or exercises. MIke’s students learn why things go wrong on the course and how to evaluate and correct them. It’s one thing to push or pull/hook a ball, or hit it fat or thin; it’s another to know why it happened and how to diagnose the cause and make the necessary adjustment(s). If you want to learn not only the “hows”, but the “whys” as well, Mike is the coach you are seeking.